The Wish List enables buyers to privately track listings of high interest to them. On an ad, simply touch "wish list" to save it to your list. Later, you can review all the items on your list by accessing it from the User Menu. Below the ad photo, you will also find several other "Social Actions". Like: For users to publicly express their approval. Sellers should continue looking impressions and clicks for more analytics on user reactions. Share to Facebook: A quick way to share a single animal. 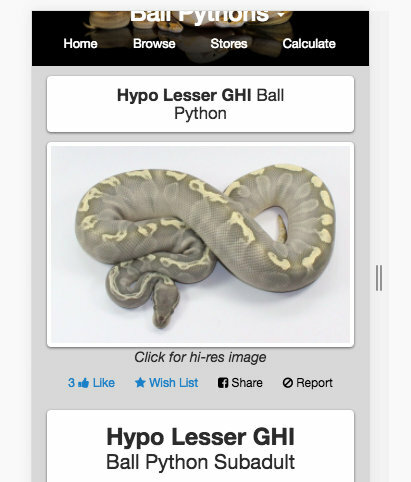 There's also now a share button on the Breeder Store page. Report: It doesn't happen often, but when Scammers or Spammers surface they can be quickly reported by our community.